A paranormal debut about a high school senior who finds herself in a fight with a secret society for control of ancient magic. Graham admits he was a Phoenix — part of a centuries old secret society — but swears he left it all behind. As Julia works with Graham to figure out why she is dreaming about his past, she’s discovering she has other abilities. She heals Graham’s migraines with a touch, and there’s her superhuman strength that comes and goes. Julia doesn’t know where her new talents come from, but there’s no denying that when Graham is near, her powers kick into overdrive. But the Phoenix Society wants Graham back. They need his blood to awaken the magic they seek, and they’ll do whatever it takes to get it. Can Julia uncover the truth behind her connection to Graham? How far will Julia go in order to save Graham and stop the Phoenixes from harnessing this powerful magic? This book was shorter than I was expecting, but I did find it really easy to read. Julia was a character I found it really easy to empathise with and although she did seem to be developing certain powers and abilities, I felt those developed easily and naturally. While there were some scenes that did seem to be a bit too convenient, I didn’t think those were enough to make me lose interest in either Julia’s character or the storyline. The dreams Julia had were particularly disturbing and although they were explained later on in the book (at least to a certain extent), they did succeed in providing a lot of tension… not to mention being kind of gory in nature. I liked Samantha at the beginning of the book, but I went off her character quite a bit partway through. By the end of the book, she’d grown on me again… but I didn’t find myself trusting her quite as readily as Julia did. This was one book I found myself not minding the romance so much. While I would have liked to see more focus on the plotline, rather than the romance, I did believe in Graham’s and Julia’s feelings for each other… even though I did think Graham came across as a bit of a jerk for a while. (It was understandable, but I could understand Carla’s frustration at Graham and Julia not talking to each other). I liked the fact that Carla and Julia became friends so quickly and how Carla was involved in the dreams. I was also intrigued by Aydan and even though I thought that there was too much allowed to be cryptic, I did keep reading the book, wanting to see what was going to happen. And the mystery surrounding Julia’s mother piqued my interest as well. I would have liked a few more answers to my questions by the end of the book, though. I felt there were some nice elements of foreshadowing in this book. I am interested enough to read the next book/s in this series at some point in the future. It would be really good to see more of Julia and learn more about her family history… at least on her mother’s side. 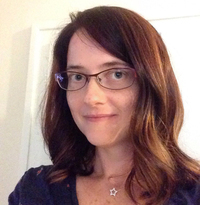 She is an avid reader and writer of YA. 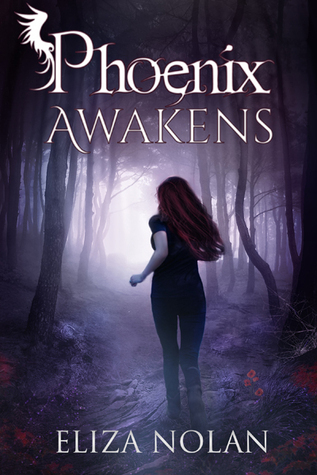 She has ghostwritten a novel or two, but also writes her own stuff, and is finally publishing her debut young adult urban fantasy novel, Phoenix Awakens.